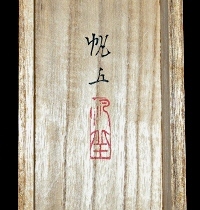 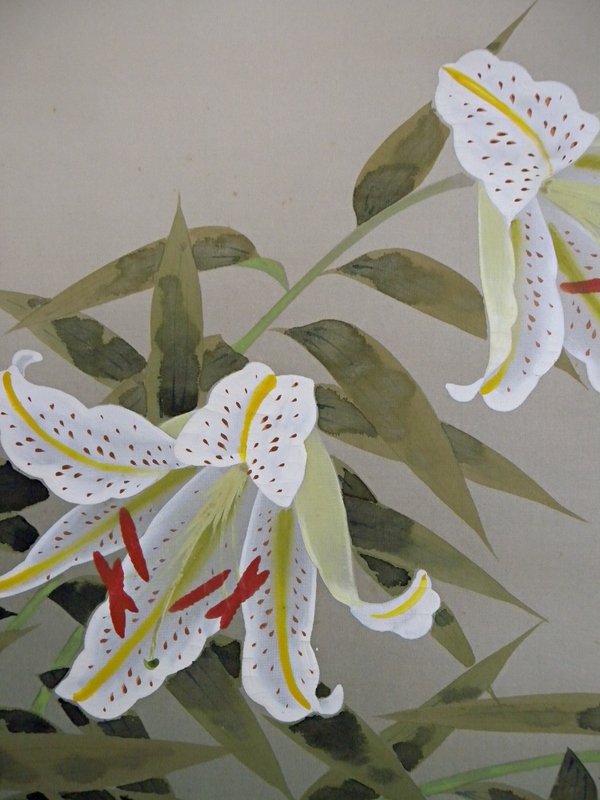 Subject" Lily Flowers & Bird "
We estimate this scroll was painted over 20 years ago. 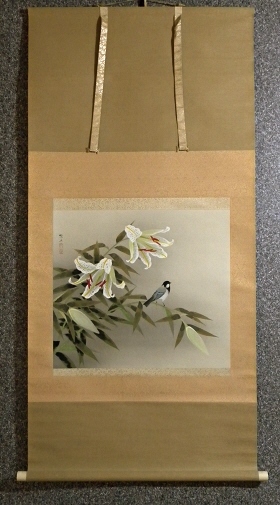 There are some faint spots on the drawing part. 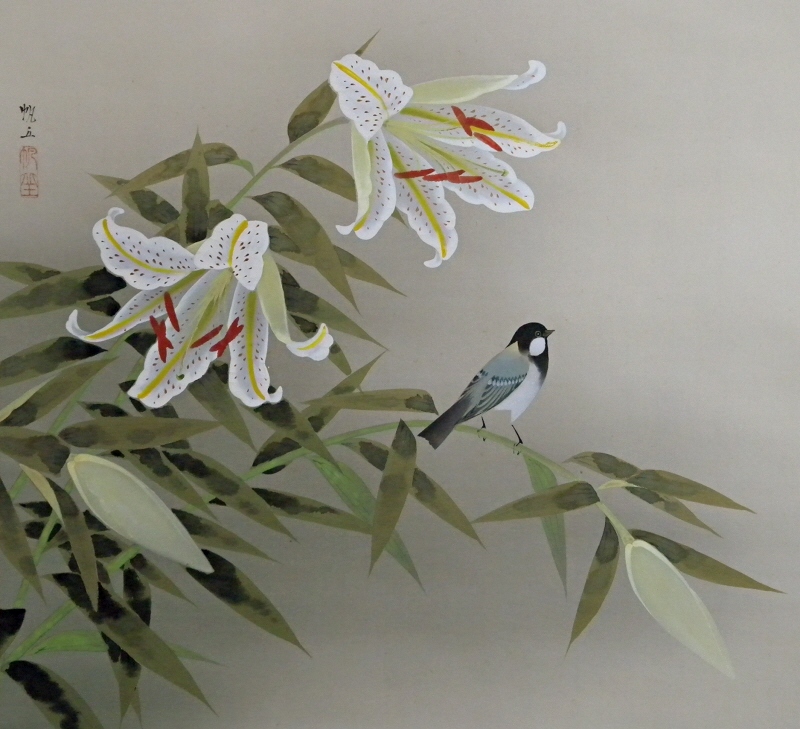 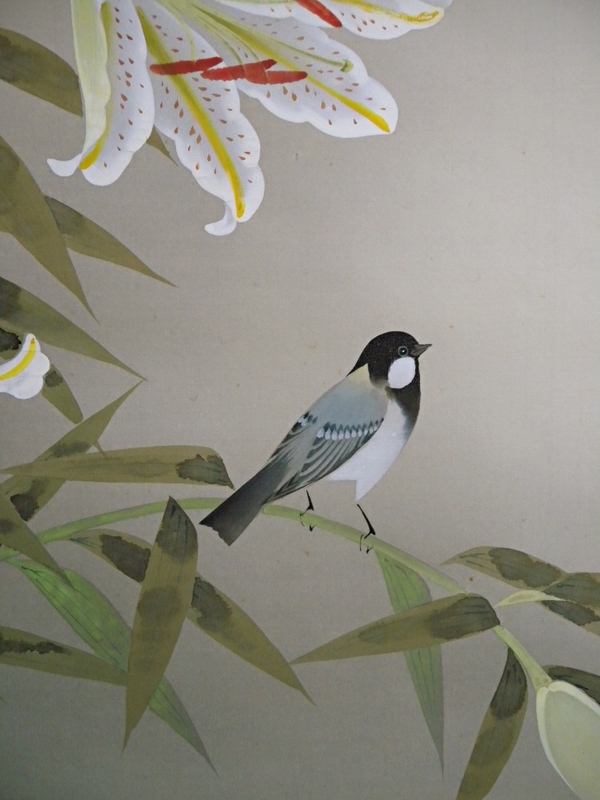 Japanese white lily (Yuri) flowers and an oxeye bird (Shijukara) are painted artistically.